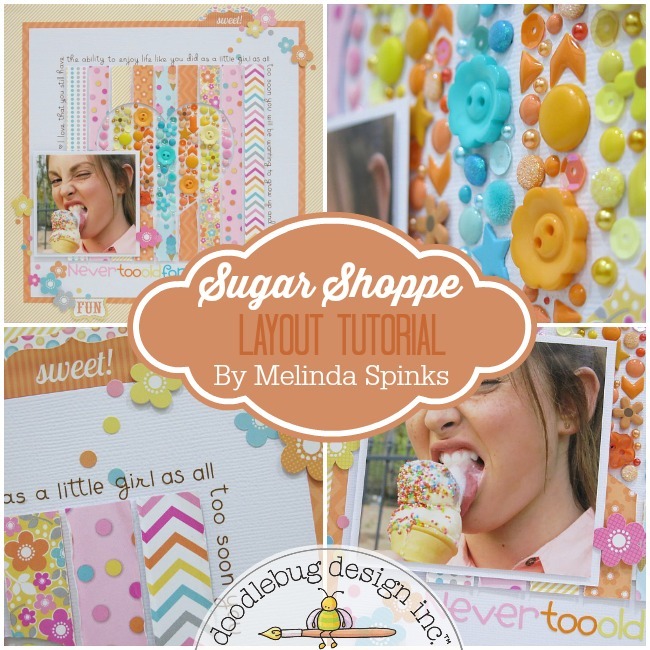 Doodlebug Design Inc Blog: Sugar Shoppe Layout Tutorial + Giveaway Final Day! Sugar Shoppe Layout Tutorial + Giveaway Final Day! 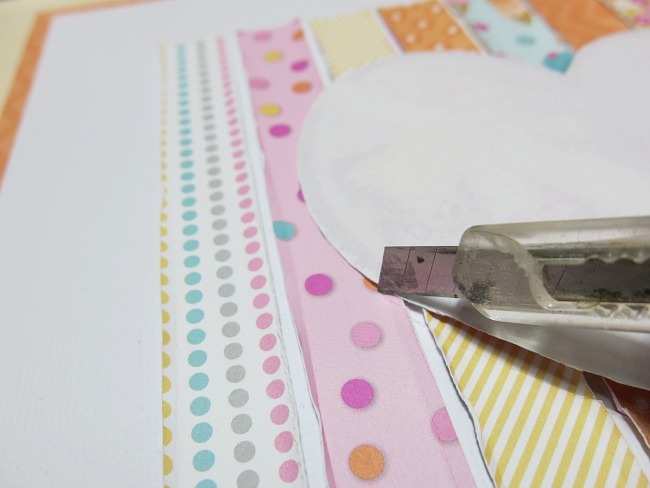 It's Melinda with you today and firstly I would like to wish everyone a very crafty National Scrapbook Day! Today is also the final day of our Sugar Shoppe Launch Party and that also means your very last opportunity to enter the prize draw for one of six Sugar Shoppe collection packs on offer. 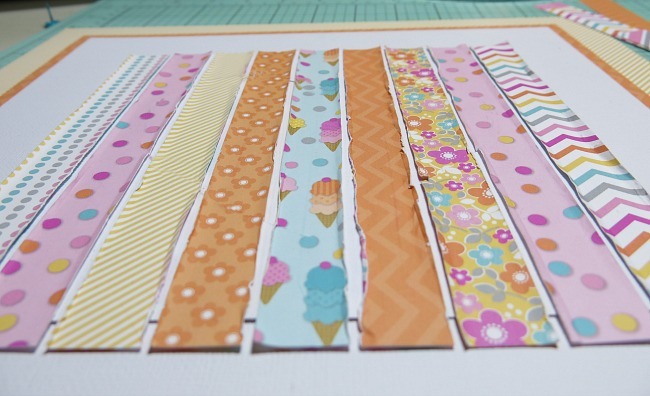 Sugar Shoppe is the perfect name for this collection because every piece of paper, sticker, embellishment etc reminds me of walking around a sweets store as a child. So much to look at, so many yummy colours and patterns and little bits and pieces that just make you want to 'taste' everything. Now I didn't actually 'eat' the paper but I did manage to go a little wild on this layout. 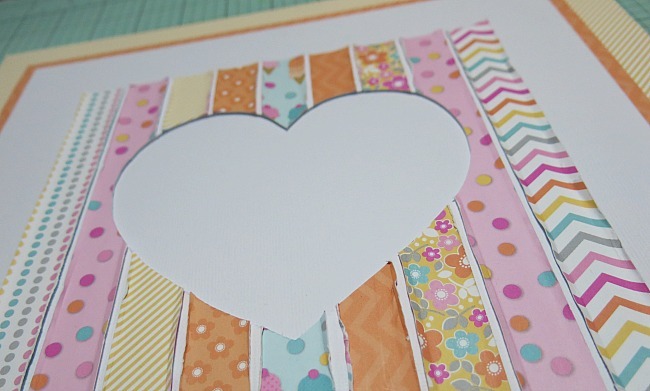 First step in creating the heart feature on this layout was to cut a pile of strips 3/4" in width in various patterns and colours. I then adhered the strips to a piece of backing cardstock and then roughed up the edges a little to add a bit of dimension to the panel. Next step was to cut out a heart shape to use as a template for the hole. I laid the heart in the centre of the panel and using a new blade in my craft knife I cut around the heart and right through the strips and the backing sheet. I then adhered the panel to my layout by using some thin foam pop dots just to raise it off the layout slightly so a small shadow was created under the heart which added to the look I was after. Final process was to embellish the heart using identical colour schemes as the strips of paper and simply continuing the line down through the heart. Now I won't tell little white lies and say this was a relatively quick step because it took me forever, however it was fun to do and I was happily using up lots of my embellishment stash. We are giving away some amazing boxes filled with an assortment of our new Sugar Shoppe Collection SIX lucky winners. The more you enter the more chances you have to win!! WOW, that layout is just amazing, I can't image the time that went into it. I love this idea of lines and rainbows of embelisment! 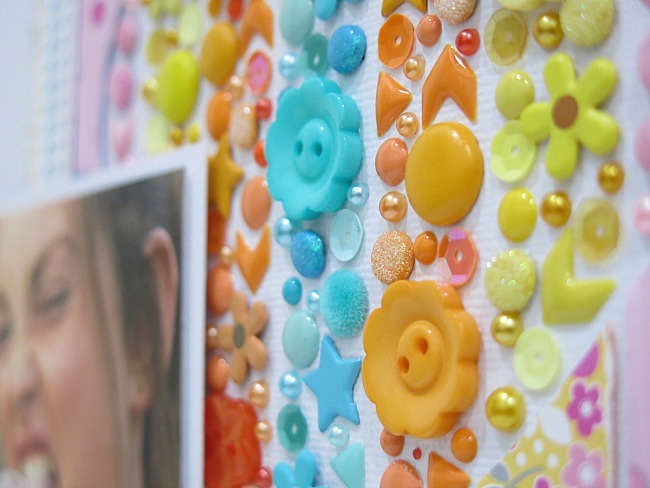 It looks clean and neat and it's a great way to use buttons, sequins and candy dots!!! Thank you so much for the inspirarion!!! TOTALLY AWESOME layout Melinda - LOVE IT ALL!!! THANK YOU for sharing your AWESOME INSPIRATION and tutorial!!! ... I dream of trying this out one day. I love the entire concept, including the journaling around the outer edge! I don't ever thing I could line up & space letters so perfectly. Awesome layout! I really love this collection! Wow--that took some work. The result is worth it. Shared a couple sugar shoppe posts. Pinned it! Love the colors and embellishments on this page. Love your blog and products!. Doodlebug showed up on my home page & it happened again - that happy feeling!!! 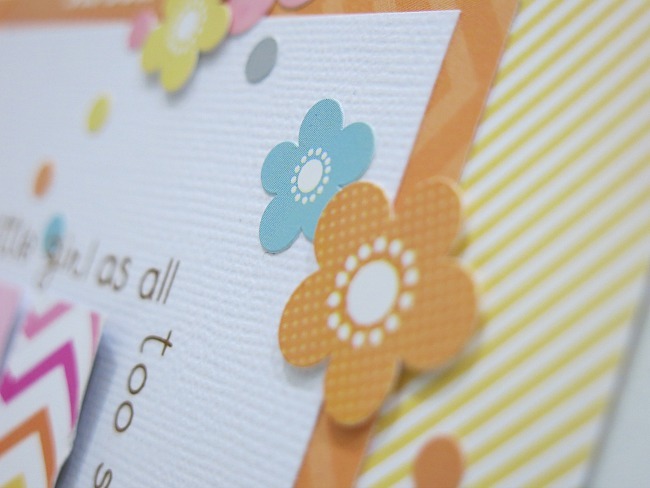 LOVE Doodlebug products!!! Thanks for a chance to win some - they are not so easy to find in my area! looooove this layout! 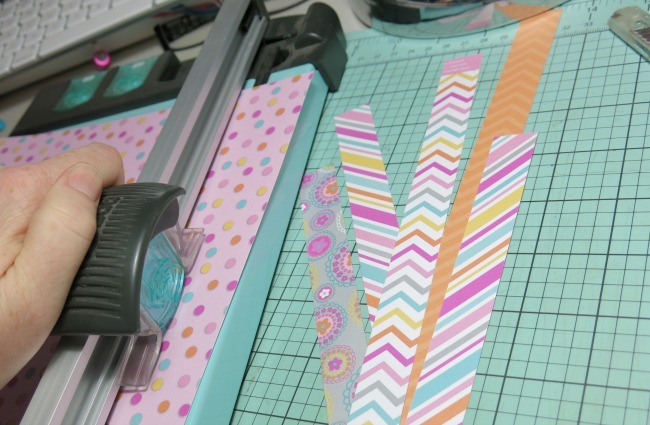 kinda did something similar on my very first front page of an album - used diagonal striped paper, and a white die cut embellishment - doodled with the coordinating colors on the white die cut to match the lines of the background paper. it was fun. i love this sugar shoppe line - SO CUTE! After seeing this layout, it is one of my all time favorites. I cannot wait to recreate it (or try to). Today, during NSD, I am making some mini albums using your Graduates line. Love that paper! absolutely love this layout and collection!!! amazing!! Just wonderful - true Melinda Spinks style - careful, thoughtful & fabulous! I'm only to happy to Share on Facebook, Thank You for a chance to win this great collection, Happy NSD to all! I'm a Doodlebug follower on Instagram (@trixtergirl75). Wow! 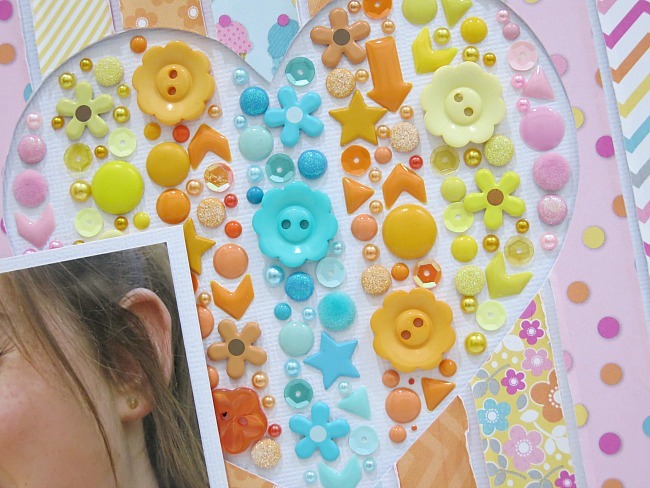 That's an awesome cool way to use up your embellishments stash! I have to say i love all the projects you share on her and facebook, they are all amazing. This is one of the most awesome layouts that I've seen in quite some time! How you arranged all those tiny tidbits is just perfection! Beautiful...pinned and shared on Facebook.